Paul adds: “Amazing Disgrace is one of our most diverse records yet. I don’t think there’s anything we can’t do or that we wouldn’t try. The last few records have proved that.” Guerin conceded that treading in the revered footsteps of Freddie Mercury, Brian May et all across the hallowed Rockfield turf was an unforgettable experience in its own right. Emerging from the studio with an album prepped to take on all-comers in 2019 was the icing on the cake. “You come out of the front door and on the right hand side you can see up to the window of the room where Freddie Mercury wrote Bohemian Rhapsody”, added Guerin. “Look up again and you can see the weather vane referenced in the song. If you’re of a certain vintage, it’s just mindblowing. I was like a kid in a sweetshop. And if you can’t draw inspiration from recording in that environment then you’re probably in the wrong job!” Guerin is clearly in the right job. 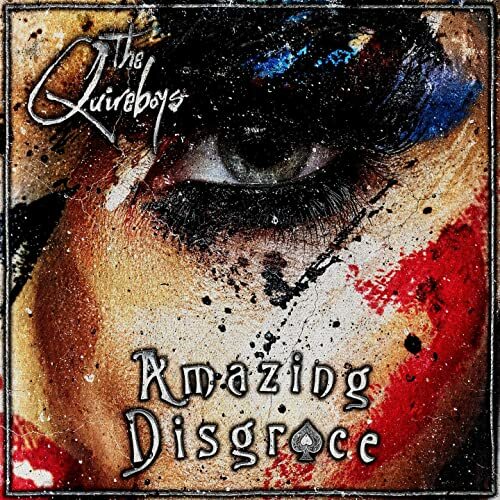 And the job satisfaction will surely spike again when The Quireboys headline a special one-off show celebrating 35 years as self-styled rock and roll rebels.